Biggest issue every Android user faces is No OTA updates or some apps not compatible like Android Pay after installing Xposed Framework in their Android device. XDA’s recognized member, topjohnwu has modified the Xposed Framework (V.85.1) to work alongside Chainfire’s systemless SuperSU in order to also run without modifying the system partition which we call as Systemless Xposed. This means that you can install Xposed modules on a rooted device running the stock ROM and continue to receive OTAs. Systemless Xposed builds exist for Arm, Arm64 and x86 devices but, systemless root is currently only available on Marshmallow and above. If you want to flash an over-the-air (OTA) update, you can disable Xposed and reboot & you are all good to install new OTA updates. An Android device Rooted with SuperSU 2.76 or higher versions (You have to flash the SuperSU zip manually. Update through PlayStore or using an older version will NOT work). 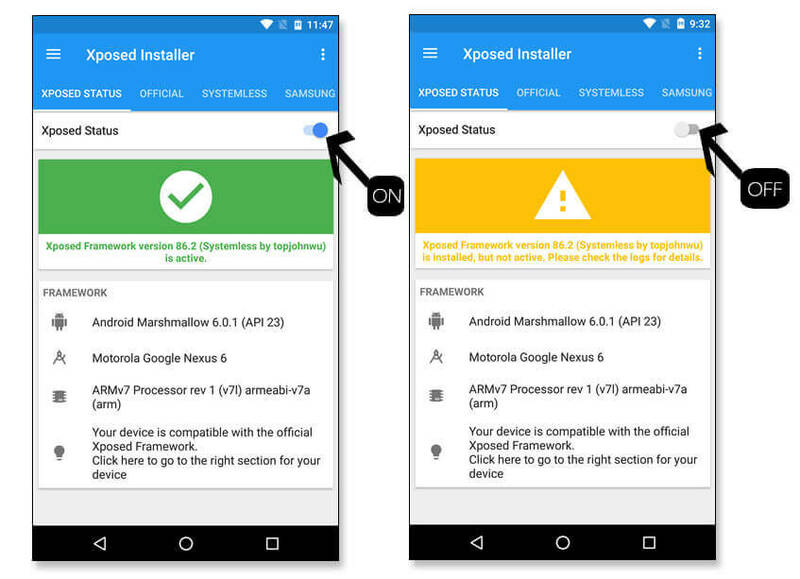 Remove all previous installs of Xposed framework & installer from your device. Don’t use the old installer, only use the material design installer provided below. If you are using any custom Kernel in your stock ROM, please restore to stock. If you have old Xposed installed on your system, please also restore system image back to stock, or use the uninstaller in OP to remove them. Custom rom users: Re-flash your rom to get new System. Only works for devices running Android Marshmallow & above as Systemless root is only available for Android M & above. How Systemless Xposed is detected? Install Magisk Systemless root on your Android device. Step 1. Goto Settings > Security & allow “Installation from unknown sources” to install Xposed Material design installer app. Step 2. Transfer all the downloaded files from above & Switch off your device. Boot into recovery mode to install Xposed framework. Step 3. Click on Install button in TWRP and locate the SuperSU zip file to install System-less Root in your Android device. Step 4. Click on Install button in TWRP and locate the Xposed Framework zip file. Click on zip file & swipe to confirm. Step 5. After installing, click on Reboot to System to get things rolling. 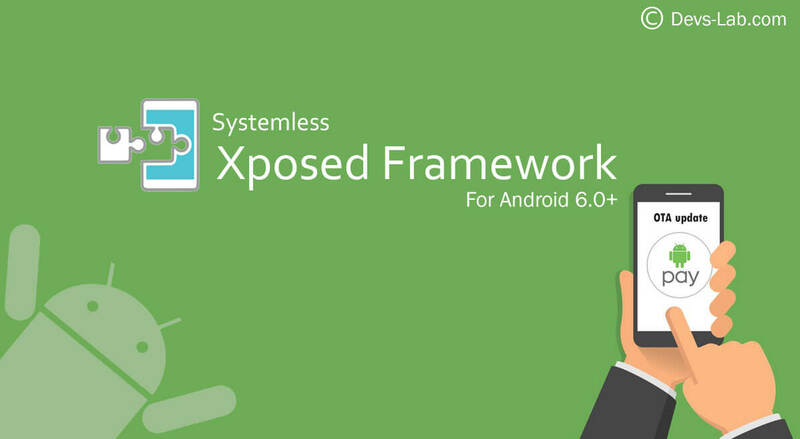 Once you have installed Systemless Xposed framework, launch the Xposed App & check status. To disable Xposed Framework, just toggle Status to off & reboot your device. After performing required work, just swipe back(ON) & reboot. Sounds great, isn’t it? Android Pay doesn’t work after installing Xposed framework. Even after disabling framework, it still shows error. However, by simply toggle the disable toggle in Xposed Installer App, systemless method gives us the ability to re-gain Android Pay just in a reboot! Q: Help! My modules are working, but it says “Xposed not installed” in Xposed Installer App! Android development is reaching new milestones everyday. Everyone’s thought of receiving OTAs after installing Xposed has now become reality. Developers never fail to surprise with new feature every time. Even Chainfire surprised us with ADB System backup (Flashfire). Now that you have installed Systemless Xposed in your device, you can install many xposed modules & disable all of them in just one click.